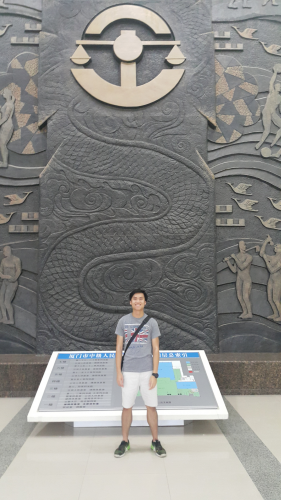 Hi everyone, I am a third year law student, and for 2018-19, I am studying abroad at Xiamen University, China. Without realising, half of the time I will be here has already passed. I feel this is now the time to look back on what happened in this past 4 months and to set myself a target in the second half of my year abroad. 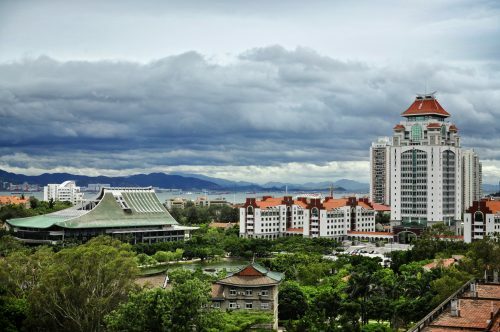 Xiamen University is a beautiful seaside campus with a combination of Chinese and Western styles in its architecture, and just like Southampton, it has a vase amount of green plants. Unlike most other exchange students, I lived in dormitory provided by the University, I felt that this is the most down to earth way of truly understanding the Uni life in China. Indeed what I witness from the very first time I arrived my room came as a cultural shock – BUNK BEDS ! With two other people! Having lived in my own room for the past two years at Southampton, this is something I was not expecting. The top is the bed itself, whilst the bottom is my desk and cupboard. Although I am sharing the dormitory with two other locals, the room itself is big enough and the bottom of the bunk bed is surprisingly spacious enough for me to keep everything. Then I discovered the second cultural shock of the day- there wasn’t a mattress on the bed, it was only a flat wood. After seeing my roomates sleeping on a super thin bamboo mattress, which is almost same as sleeping on a bare wood, I thought I would take on this challenge as well. Consequently, my back hurts really badly after the first week, and I decided to treat myself with a brand new mattress. I’ve had good nights sleep ever since. The law courses I am taking are taught in English so it was quite easy to settle in class. The class structure is a bit different to Southampton though, at Xiamen, lectures and tutorials are all conducted at the same time. I also enjoy the wide variety of food option here. I was amazed that the rice in our canteen are free of charge, and the food generally are made to a good quality in a very cheap price. I reckon I might have even gained a few kg since I came over. At around November, the law school organised an educational trip to the Xiamen Intermediate Law Court. We first walked along the ‘legal street’ outside the court where we were introduced of the meaning of different pieces of artwork. Then, after going through the security, we were escorted to the courtroom. During this time, the clerk gave us a short presentation of the layout of the court. Also, may questions were asked which were duly responded for a better understanding of the Chinese legal system. An additional time was spent at the reports departement where further explanation was given as to how cases were filed in China. My goal for the next semester is to challenge myself to take a course in Chinese or a in another faulty, or at least join some more extra-curricular activities so that I can broaden my knowledge and take full advantage of my time here. Finally, I would like to thank both both University of Southampton and Xiamen University for the opportunity to study abroad, and I look forward to the beginning of the second semester.